Bradford mum hopes crisp flavour crown lies in store! Sarah Morgan, a self-store customer at our Bradford business centre is one of the six lucky finalists in the Walkers Do Us a Flavour competition. 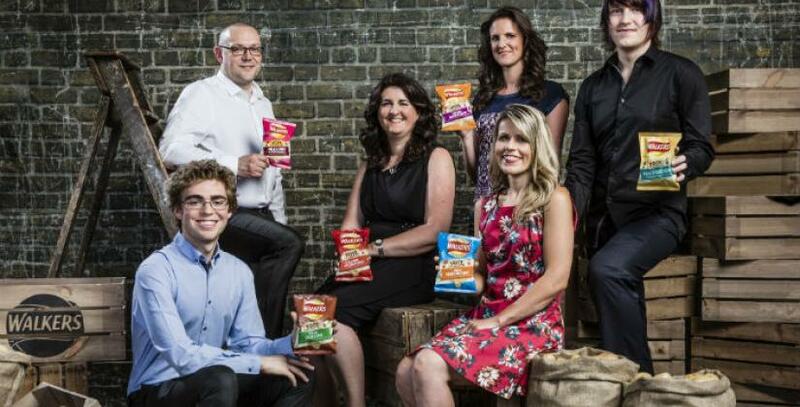 Six quirky new flavours of Walkers crisps hit the shelves this summer – and a customer of our Albions Mills Business Centre in Bradford has more reason than most to be excited. Sarah Morgan, who has been a self-store customer at our centre in Greengates for four years, is one of the six finalists in Walkers’ Do Us a Flavour competition, after submitting her Hotdog and Tomato Sauce flavour entry. We have posters promoting Sarah’s flavour proudly displayed around the site and have our fingers crossed that Hotdog proves a hit! Walkers launched the popular ‘Do us a Flavour’ campaign at the beginning of the year, challenging crisp lovers to devise a brand new flavour. Over a million entries were received and a judging panel that included Marco Pierre White and David Williams whittled them down to six lucky finalists. The winner will scoop whopping £1million while the runners up will all receive £10,000. The flavours suggested by the six finalists are being sold as limited editions in stores across the country and will be available until mid-October. The winner will be decided by the public, with online voting already open. Sarah, mum to Bethan, 11 and Abbie, 10, says: “Funnily enough I’d never actually tried hotdogs. They are my kids’ favourites and I adore the smell. I’ve been converted since trying the crisps and I’m sure the nation will too. In July Sarah and her husband went along to a launch party in London, attended by all six finalists and the judges, as well as a host of celebrities. Here she found out that David Walliams, as well as singer Professor Green and his wife Millie Mackintosh, are fans of her hot dog flavour. If Sarah’s flavour is chosen as the winner, she says she will spend the prize money on buying a new home and having a big family holiday – as well as celebrating with a hot dog party! “It’s really nerve-wracking waiting for the results as there is no way of knowing how the voting is going,” says Sarah, who works in admin at Samuel Lister Academy, Bingley. “I’ve been doing my best to spread the work and have learnt how to use Twitter and Facebook. And what’s really strange is when people who I don’t know recognise me from the publicity and ask if they are my crisps! People can vote online or by texting hotdog to 51500.